REI's #OptOutside campaign, urging consumers to disengage from consumerism on Black Friday and go enjoy the outdoors, added to its awards haul on Wednesday night, picking up two Grand Clios—in Engagement/Experiential and Public Relations—at the Clio Awards in New York. Venables Bell & Partners claimed the Engagement/Experiential award, while Edelman took the PR prize on behalf of the campaign, which indeed was an enormous PR success for the outdoor retailer. 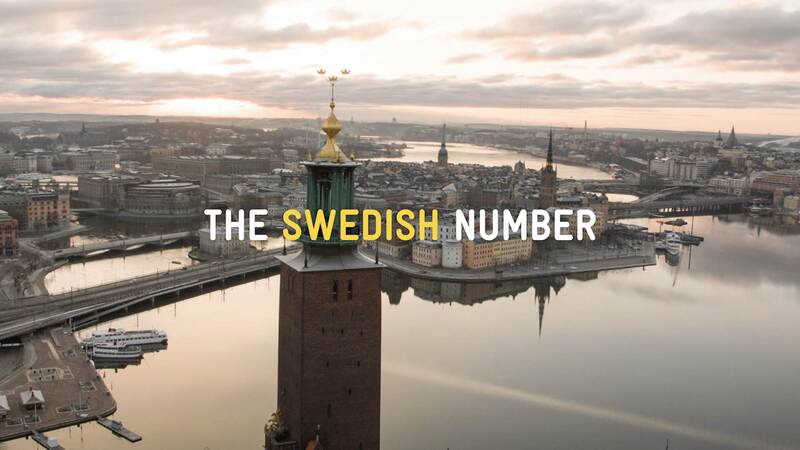 One other campaign won two Grand Clios as well: The Swedish Number, a bold tourism campaign from Ingo Stockholm (part of WPP's Grey and Ogilvy network) that invited people all around the world to call a phone number and be instantly connected to a random, ordinary Swede who could talk freely about the country. That campaign won Grand Clios in Direct and Innovation. Wieden + Kennedy Portland, Fred & Farid New York, Leo Burnett Chicago, McCann New York, Laird+Partners New York were among the other U.S. agencies to win Grand Clios. Edelman won a second Grand Clio, in the Clio Beauty category, for its "Choose Beautiful" work for Dove. some of the jury chairs about their Grand Clio choices. "Who would have thought that in this time and age, the good ol' telephone would bring together 9.8 million Swedes to speak for their country? That's exactly what this brilliant idea did," Merlee Jayme, chief creative officer of Dentsu Jayme Syfu and Clio Direct jury chair this year, tells Adweek. "After seeing high-tech, complicated, flashy technologies that try too hard to connect with consumers, we found the use of a phone number to be refreshingly simple, relevant and perfectly 'direct'—to push tourism! Every Swede literally answered for his country, demonstrating genuine 'freedom of speech.' And with the amazing response it has produced, it makes you realize that nothing still beats the power of having a good talk." "When your entry opens with the president of the United States talking fondly about your project, you've reached an entirely new status," adds Steve Vranakis, executive creative director at Google Creative Lab and chair of the Clios' inaugural Innovation jury. "Call it a product truth, a demonstration, whatever. It's absolutely genius, and I applaud the agency as well as the country for creating bold and brilliant work like this. It's powerful in reminding us of the right we have to voice our ideas and opinions by allowing us to speak freely and without any fear, if only with a 'random Swede.' "
"Film has the power to move people regardless of logic or reason," says Yuya Furukawa, chief creative officer at Dentsu Japan and chair of the Film jury. "This is the true meaning of film, and we judged work that truly proved the meaning of film. There is an issue of continuity in our job. In our business of filmmaking, we cannot survive on a one-shot hit. We have a duty to constantly create good work, and send it out to the world every year. The essence of continuity is actually freshness. If it's not fresh, then it won't work, and the continuity will not last. Particularly when the work is big hit, there is nothing more difficult than to come up with the next piece in the series. That is actually how the Grand Clio was chosen."